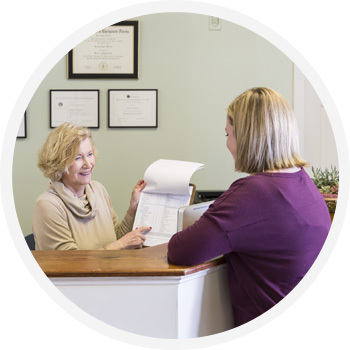 We strive to provide safe, effective and gentle care to our patients of all ages. Our Marlborough chiropractors believe that every individual who walks through our door deserves to reach their body’s full potential of health. Why Treat Symptoms When You Can Treat the Cause? A recent study suggests 80% of the population in the United States will experience neck and low back pain at some point in their lives. The most common sought after care for joint pain is medical treatment. Medical treatment of pain focuses on the symptoms of the individual and not the root cause, which is like snipping the top of a weed and wondering why the weed returns. Chiropractic care treats the root cause of pain. This is why chiropractic is the most effective form of treatment for chronic joint pain. An adjustment can be both relaxing and effective. This is why we have created a state of the art gentle low force adjusting protocol to manage some of the most complicated and debilitating cases. Most people know chiropractic is famous for resolving and managing chronic tension headache, and neck and low back pain. But at this office, we are experts in many other common ailments the public may not know a chiropractor can help with such as whiplash, sciatica, TMJ, extremity pain, carpal tunnel, plantar fasciitis and migraine headaches. Chiropractic can be very beneficial in maintaining a healthy nervous system in children. Our patients bring their children in routinely for spinal checkups and subluxations on little ones we find usually take one to two treatments to completely resolve. We love our pregnant patients and they love us! We work in conjunction with our patients' midwives and obstetricians to maintain the optimal pelvic and lumbar biomechanics so that baby has the ability to move into a position for a healthy labor and delivery. Pregnant moms love our special adjusting table and cushion that allows them to lay on their tummies while we gently and carefully give them the care they need. For too long we have been taught that drugs and surgery are the only answers to painful musculoskeletal problems within our bodies. Let us show you how chiropractic care and nutrition can elevate your health to a new level. Contact us today to book an appointment! Under chiropractic care I feel amazing. I feel that I can go and do anything. I wouldn’t be able to do what I do without my monthly visit to the Barone’s. Both docs are amazing, caring, confident people who truly want to help you. From my first call 3-4 months ago to today the level of care and customer service surpasses anything I have experienced in the health care industry. I will always suggest they see Dr. Barone before they try drugs or surgery. I have recommended several associates and friends to Barone Family Chiropractic and all have had great results. I love, love, love the chiropractic care I receive from Dr. Barone. I am a new person who can walk upright again with no pain. I also love how gentle the care is. I lived with my back pain for 20 years until I was introduced to the Barone’s from a friend at my senior center. Now I have less pain and can move better. I love my chiropractic care the Barone’s give me and am very well treated there. I came to Barone Family Chiropractic because I have had a history of scoliosis and I couldn’t play many sports due to a sore back. After coming here my back doesn’t hurt as much and my muscles feel more relaxed. Both Dr. Barone’s are very friendly and will definitely help your back pain. With the care of Dr. Barone I feel I have 99% improvement in exercise and general well being after living with back pain for years. I have also noticed more self awareness of my body and I am using much less pain medication.